Carpet installation prices can become a financial burden when remodeling your home or installing carpet for the first time. Prices can sometimes vary from $100 or more per room in the house, and even more if it is a special type of carpet. Prices are definitely one of the things that change often, so it is important to look around to find the best carpet installation prices for your budget and your design requirements for your entire home. First of all, many home improvement stores offer discounts if you buy a specific type of carpet. Home Depot recently offered $39 installation if you purchased the Stain master type of carpet. The price difference on the carpet wasn't too drastic at the time, and the savings were substantial. If there is a color and thickness you want, but an installation discount is offered on another brand - go with the different brand. Carpet pricing will definitely be more expensive from "high end" carpet sellers. If you must have a high end carpet brand, at least hire a cheaper company to lay the carpet for you. The difference is wholly unnoticeable between different companies that install carpet. It isn't a challenging process and will look good no matter what brand company is laying it. The biggest difference is that one place may charge $1,000 for your whole home, and the other may charge just $500. 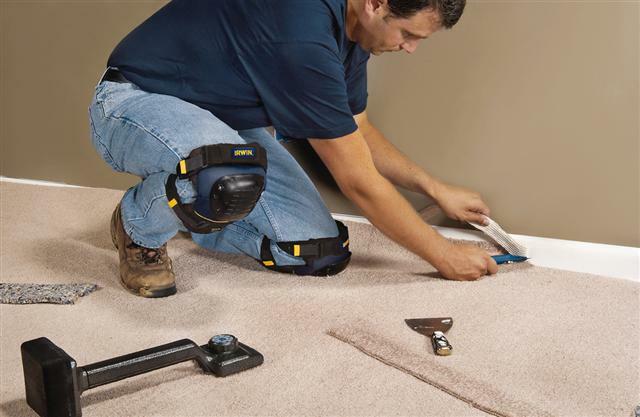 Carpet installation prices are cheaper during the down months. In the spring and summer people are interested in remodeling and changing their flooring for the new seasons. This is when sellers hike up prices to charge those people more for the service. Instead, get new carpet in the winter or fall when the prices are likely to be cheaper, due to less demand. Spring remodeling may still offer good pricing if you catch stores when they have a "spring fever" type sale on carpet and installation. Home improvement stores are the best places to look for the cheapest pricing and most efficient service. You can get your carpet installed for a decent price that doesn't break the bank if you look at competitive home improvement stores. They are generally ready to offer price matching if another store offers a lower price - so simply looking around and asking questions can make a big difference in the price you pay for carpet installation.